I will be speaking at Federation of Malaysian Manufacturers’ (FMM) event on 114A below. 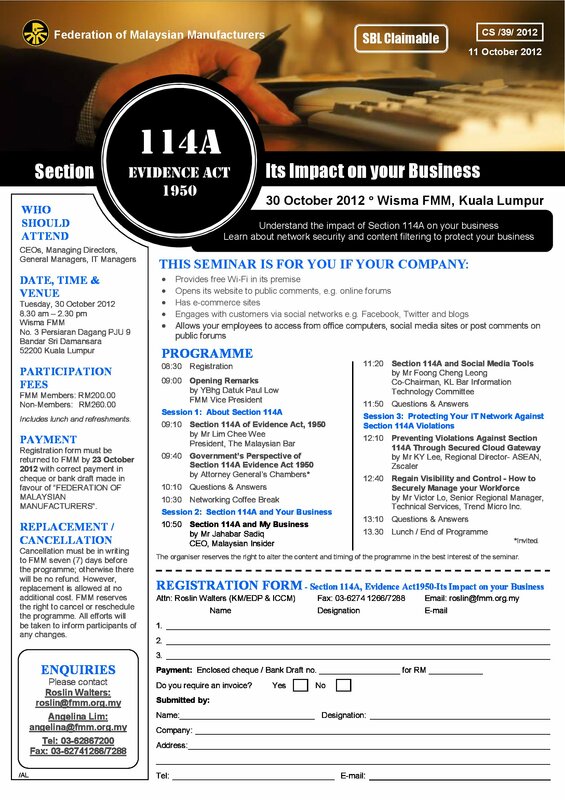 Understand the impact of Section 114A on your business and learn about network security and content filtering to protect your business. by Mr Victor Lo, Senior Regional Manager, Technical Services, Trend Micro Inc.